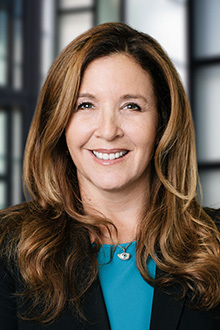 Lauren Motola-Davis is the managing partner of the Providence office of Lewis Brisbois and a member of the Workers' Compensation Practice. Lauren has more than twenty-six years of trial practice and civil litigation experience representing insurance companies, insureds, and self-insureds in a broad range of subject matters including admiralty, employment discrimination, personal injury, and workers’ compensation matters. She has argued successfully before the Rhode Island Supreme Court on numerous workers’ compensation matters. With an eye toward helping her clients avoid litigation she frequently provides education and training for her clients on relevant employment topics and presents many seminars on Admiralty Law and Workers’ Compensation. Lauren is also fluent in French and Russian. Lauren has served on the Board of Trustees at The Lincoln School in Providence, Rhode Island. Lauren is a frequent speaker on insurance related topics.